Sterling silver prayer box pendant featuring cross on front, ichthus (fish) on back on an 18" sterling chain. 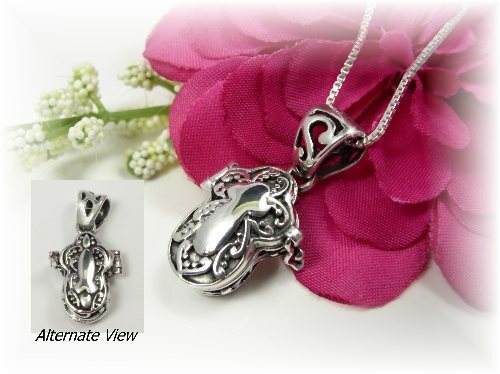 This unique necklace features a shiny sterling silver locket/pendant featuring a cross design on the front and a fish / ichthus design on the back. Hangs delicately from an 18" sterling silver chain with a spring-ring closure for a secure fit. A beautiful accessory for any occasion! Pendant measures approximately 18mm x 14.5mm. Bail designs may vary.